Coldcut & On-U Sound - Outside The Echo Chamber. Vinyl LP, CD. Bleep. 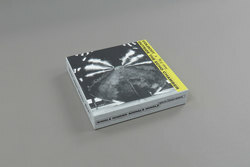 Two titans of underground UK sound system culture Coldcut and Adrian Sherwood (under the cloak of his legendary On-U Sound imprint) drop a stellar collab with the rhythmic resonance of Outside the Echo Chamber. 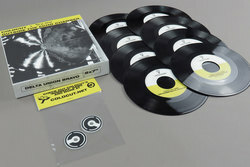 Using the album to fully cement the relaunch of Coldcut's pre-Ninja imprint Ahead Of Our Time, this hook up with Adrian Sherwood makes so much sense that it's rather mind boggling that they haven't stocked up on silver papers and dipped into the studio together to bake up some bangers sooner. Following from his jazzy geoff cakes session round Pinch's gaff, Adrian's movements behind the mixing desk adds some serious meditating bass weight to Coldcuts downtempo dubs. The vibe is pure dancehall focued roots 'n' future and shows that both the Ninja and On-U dons are no doubt at the top of their games. Calling on a wealth of guest spots they pull in highlights from Roots Manuva, Lee ‘Scratch’ Perry and Junior Reid among others to help fully realise their shared dubwise vision. 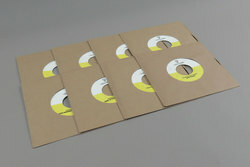 With the vinyl cut across a handful of 45"s this is perfectly primed for the serious echo dek summer sessions.